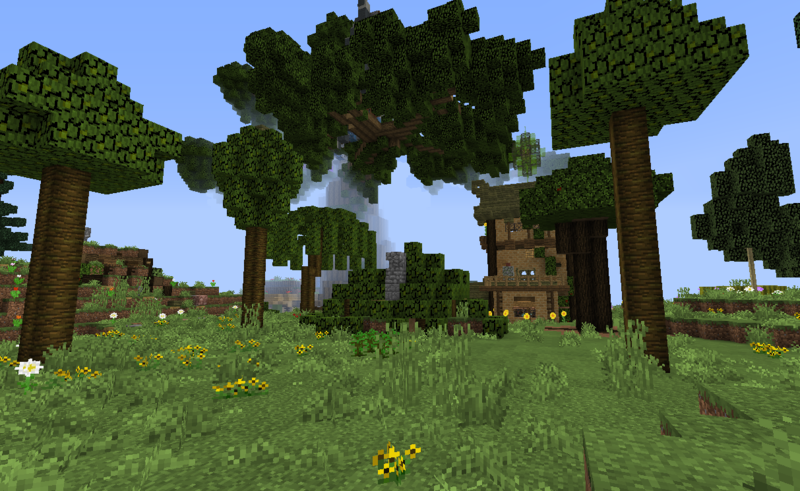 I've been a bit burnt out on Minecraft the last three months, not finding anyone to build/play together with, but today I at least revisited and appreciated the custom trees I built. Ok, enough whining. Anyone reading this, what would you love seeing me (and maybe some collaborator?) build? I was inspired to build redstone again from reading this survival build journal entry by Joey_San. The idea I got was to regulate the water led in from the river to the cistern/tank underneath the building by building a form of sluice. 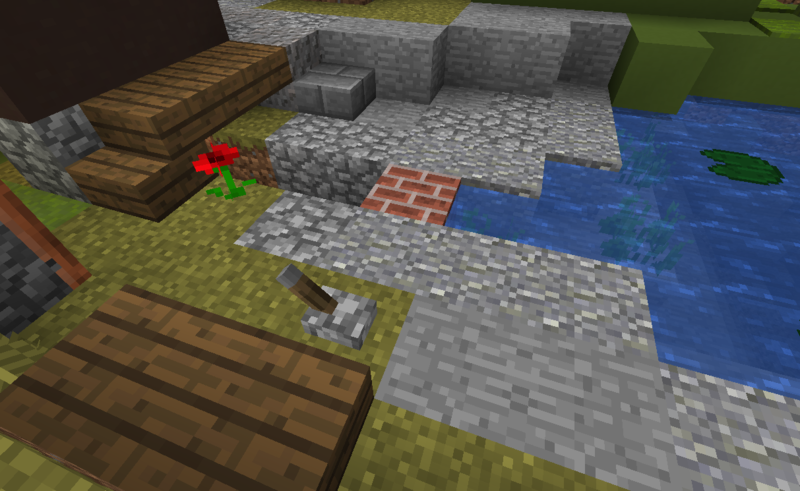 It is perhaps one of the simplest Minecraft red-stone builds possible, a lever leading to a sticky piston pushing and pulling a block in and out of the water channel from underneath. 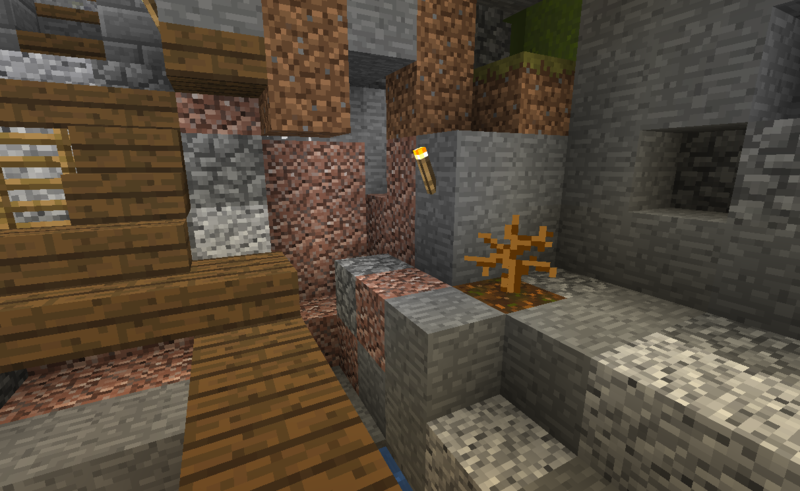 If you are completely new to redstone and want to see the details of how to connect the lever and the piston, watch the video included in the spoiler below. I try to make things entertaining by sharing some of my life story and I also show more details of the Acacian Ascendancy, Flower Valley and surrounding area. Feel free to leave any questions here or on the video, especially if you are completely new to Minecraft, there might be things you are not familiar with which I take for granted. As I mention in the video I thought about moving the circuitry indoors to the cavern. 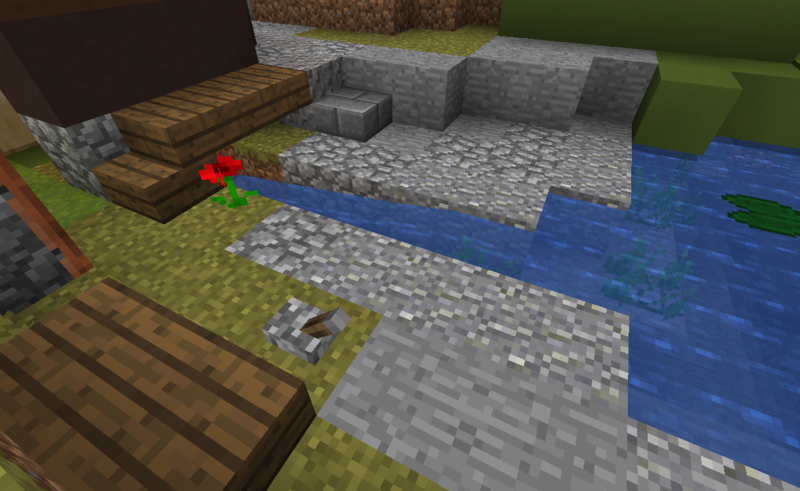 Since there is no filling water mechanics in vanilla Minecraft (yet), there is no automated sensor, but it would make sense to have the lever there for anyone spotting the tank being overfilled. 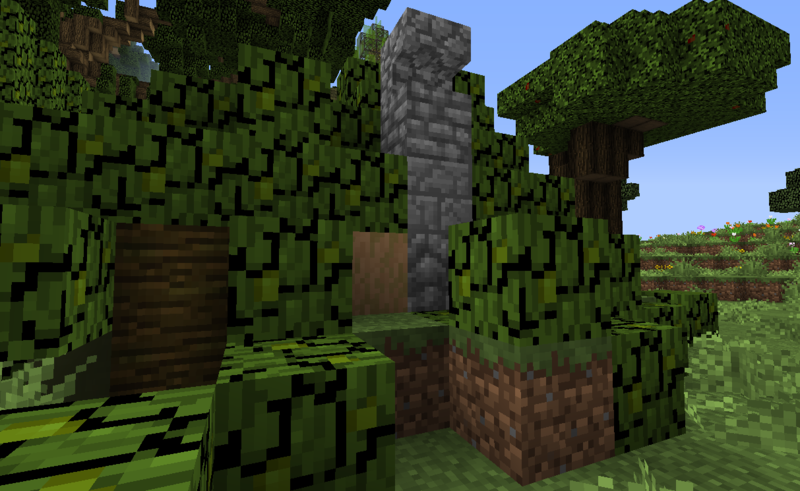 For the next update, I plan a tutorial for how to build a small overgrown jungle-home! Then I will likely do some more on Acacian Ascendancy, unless anyone would like to throw me some other cool ideas! Even if it might not suit the style of this world and the somewhat tough constraints of a peaceful vegan Minecraft survival, I might be able to adapt it in some creative way! Huge Opening Post update • World lore! This was the largest part of the work. And the most fun! I feel like there is a good sense of direction now. Download link followed by info about how to find the main area. Added a link to the first world-specific player skin. I think this looks pretty neat. Clarified the link-list description and put all the post links in a spoiler. Added the latest entries. I don't think it merits being outside spoilers, especially since many posts are so short. And the lists is growing very large. 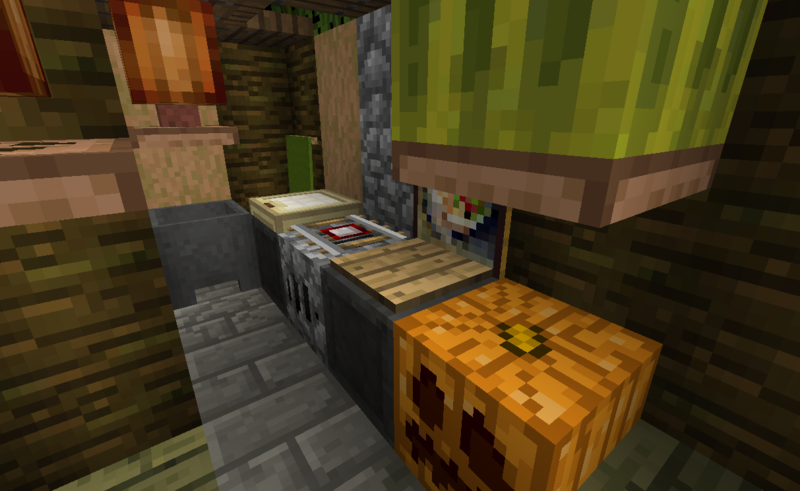 Added to give links to resources used for the thread outside of vanilla Minecraft. Clarifies which and when special rules have been introduced into the world. This was kind of written in the introduction, mingled with purpose etc. I think it is better close to the end. Also needed to clarify the rules for the world for myself. Alright, creating player over 20 player skins should be a lot of fun! I love pixel art so much =D Now, which one to start with? Hope you enjoy the addition of the lore and look forward to future updates! I went back and read through the lore. I am always a huge proponent of having a lot of background to a build. 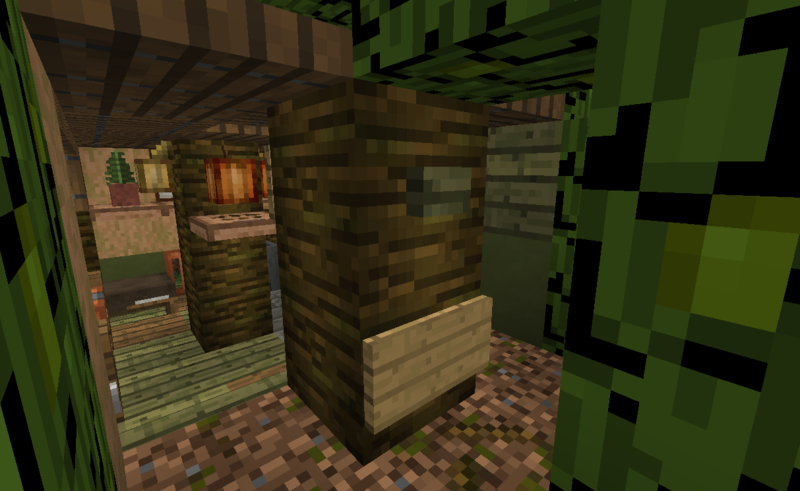 Even it isn't obvious in the build itself, having the lore there guides what you build later and makes it all feel connected. The depth you went into in this backstory is very nice! I enjoyed it and all the additions you have made to it! I am sorry that you've been uninspired recently, hopefully things will get better!! Thanks a lot Crossfirekira for your kind supporting words, and for reading the lore. Great to see you are still around! I agree that the background is really helpful! 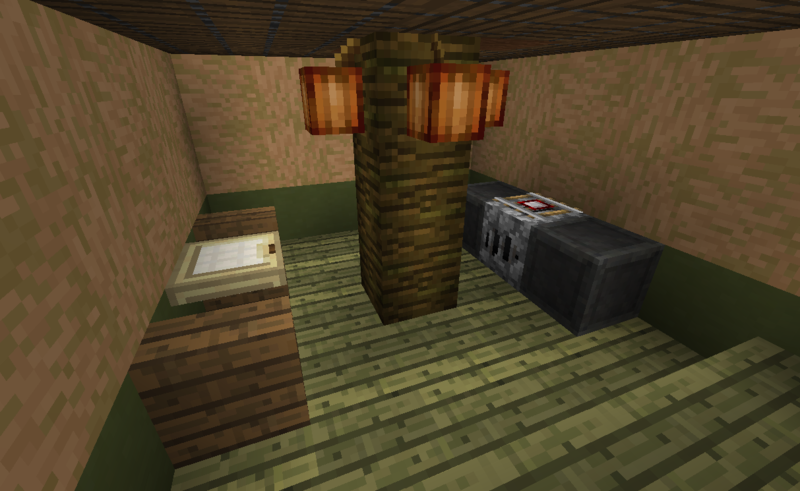 This is an idea I built first in creative after being inspired by TheWesson mentioning the brilliant use cocoa beans decoratively as lanterns. I had to try it, started experimenting in a creative world and had soon built a house aroun it. To fit it the house into Flower Valley I decided that the character Azu (featured in the short story 'Remedy Rush' I recently added to the opening post in this thread) will be changed a bit. She has until recently resided in the western wing of the hobbit inspired home together with Vin, but will now live in this jungle home. She will no longer have the role of a herbalist and 'just' be a cartographer and explorer. Instead a new character, yet to be named will be both a herbalist and an interior decorator. I think there is definitely room for such a person, and the two trades fit nicely together. 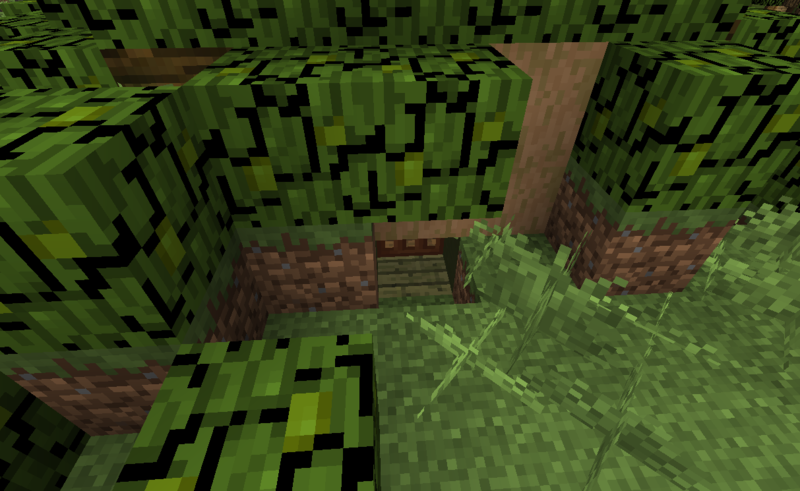 To begin I selected the most suitable site, which was where the custom jungle trees are north of the forester's cabin, southeast of the wizard's hous and west of the animalist's hut (the zebra and lion have moved north to the savanna). 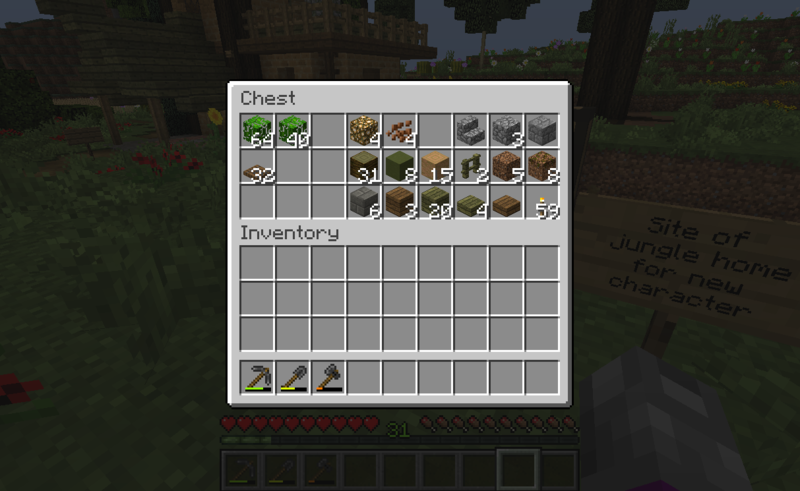 Then I assembled the materials into the orange backpack and a chest. Proceeded to dig out the site. Submerging the build makes it easier to cover over. When building in Flower Valley, I wanted to try my hands at recording a tutorial video at the same time. 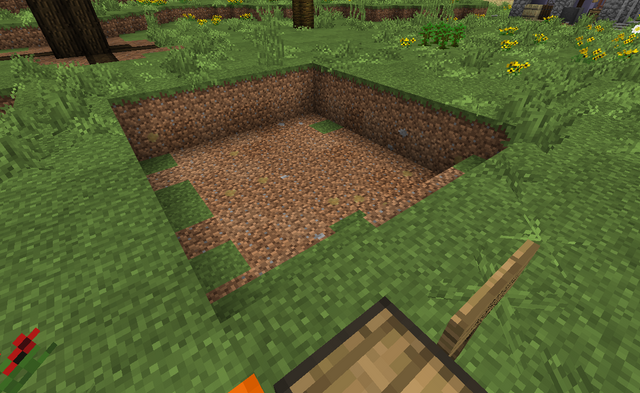 Hence the hole I dug above was actually the wrong size, the correct was 7x7 followed by 5x5 in the middle and I had to fill it and re-record my video clip at this point. And then I was so distracted by talking, starting and stopping the recording that completely forgot about taking screenshots during the process. Thus, we'll have to do with a tour the final build pointing out more of the little details (that's where the love is!). And eventually a somewhat messy tutorial video will posted after I have edited and rendered it. 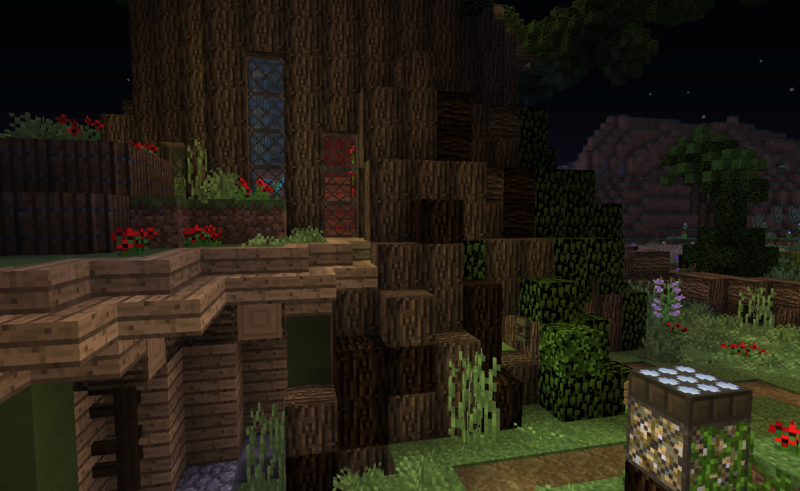 So to start with, here is Flower Valley's latest little home. We are standing on the path towards the east looking north. We walk to the entrance and take a look inside. 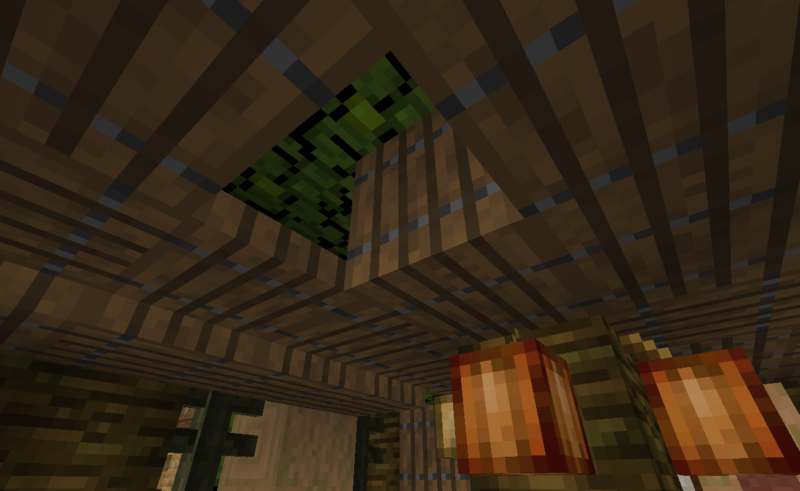 I varied the height of the trap doors and open a few intentionally to add a more airy atmosphere and interest. Inside I'd say it's pretty cosy. 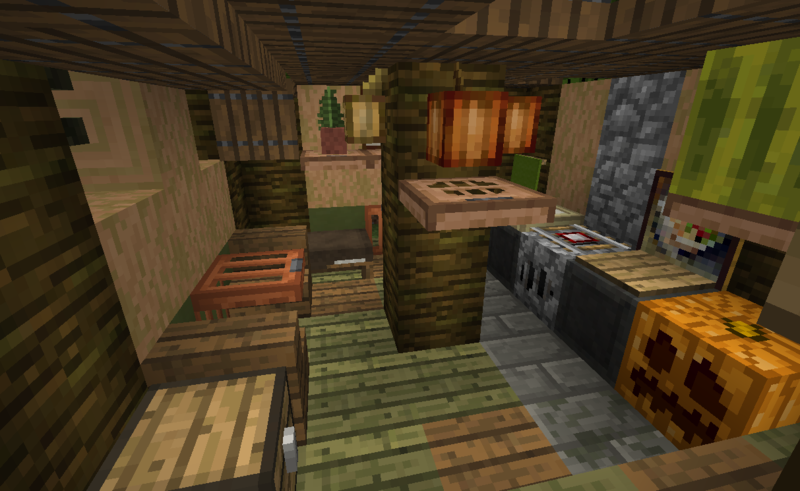 There is a seating area to the left, a kitchen to the right and a sleeping area in the back. Shifting our attention to the left, we see the only windows, covered with single fence posts, and have a glimpse of an opening underneath the table, which is for extra ventilation. From outside the vent looks like this. There is probably an even better terminology for this. I have included it since I think submerged builds are extra likely to suffer from dampness and humidity. Writing this I realize, I completely forgot about what will happen when it rains. What kind of irresponsible builder am I? Though Azu would probably enjoy the house as a swimming pool, the house will rot pretty fast without some proper type of drain. 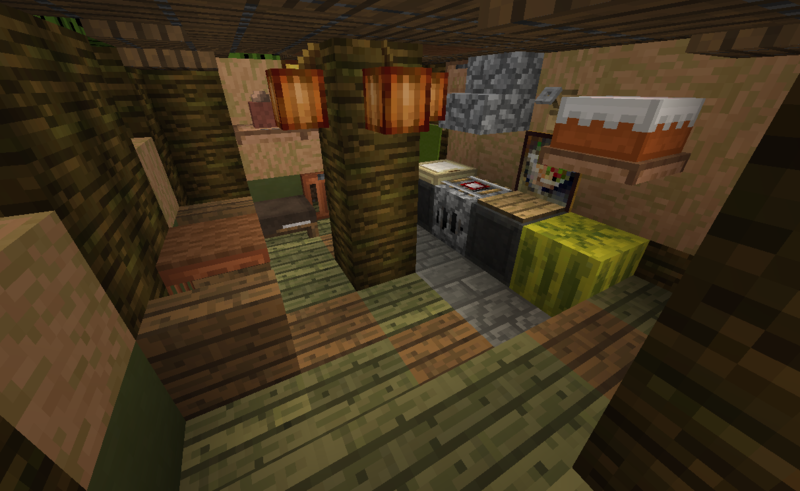 To the right, the kitchen has iron blocks as a cupboards and benches, with a wooden pressure plate as a cutting board, a birch trap door as a food tray and a detector rail as the stove. I used the best 1x1 painting I could find to symbolize a bowl perhaps prepped fruits and veggies like the melon and pumpkin stored next to it. There is also another ground ventilation vent below ground level. 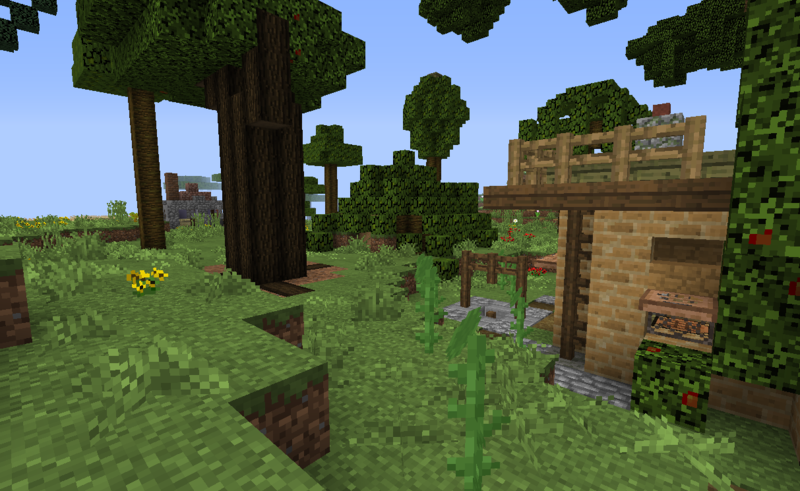 From standing north of the wizard's house, looking southeast, with the forester's cabin and animalist's hut in the background. 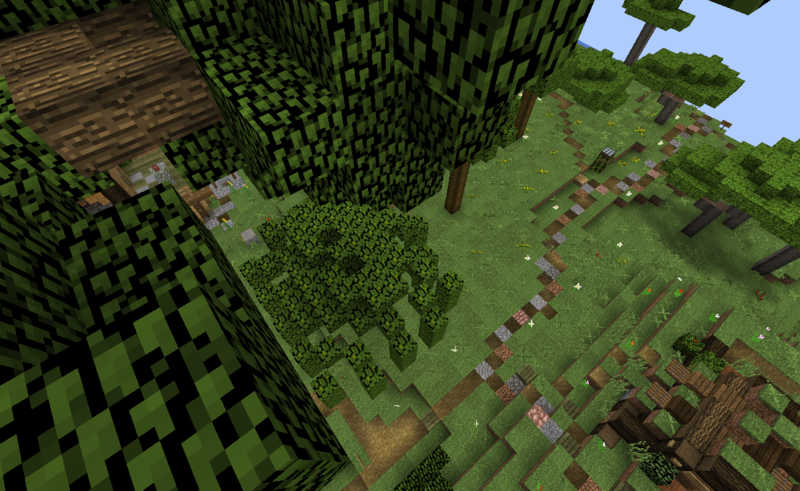 And finally from up in the tree, looking down at the house while standing on the diamond/obsidian branch. I browsed around my screenshot folders a bit and found these two I took while building the first version of the house in a temporary creative world. I used a trip wire hook as some sort of kitchen utensil, perhaps a knife or a pan hanging on the wall. Hope you enjoyed this update, the first in this style from me for a long time. I feel like I'm at home again. Still, I don't want to move in with Azu, Vin has told me she snores. And I would eat the cocoa lanterns. New world download which includes all thirty or so Flower Valley builds (I honestly don't know how to count them) and the Acacian Ascendancy! I hope you enjoy, and don't hesitate to ask me anything! Hey buddy, Rakkinishu here (I know right, my account got deleted and so did my posts, feelsbad). 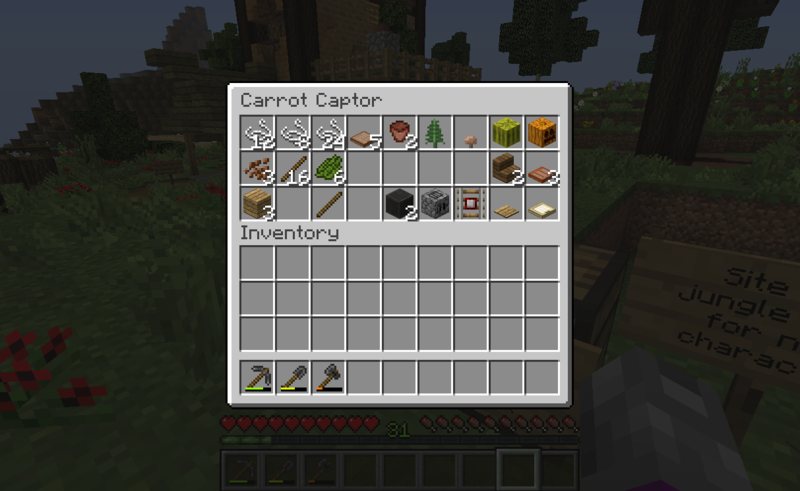 Took a long hiatus off Minecraft, about a year in fact, and was surprised to stumble upon your thread again. 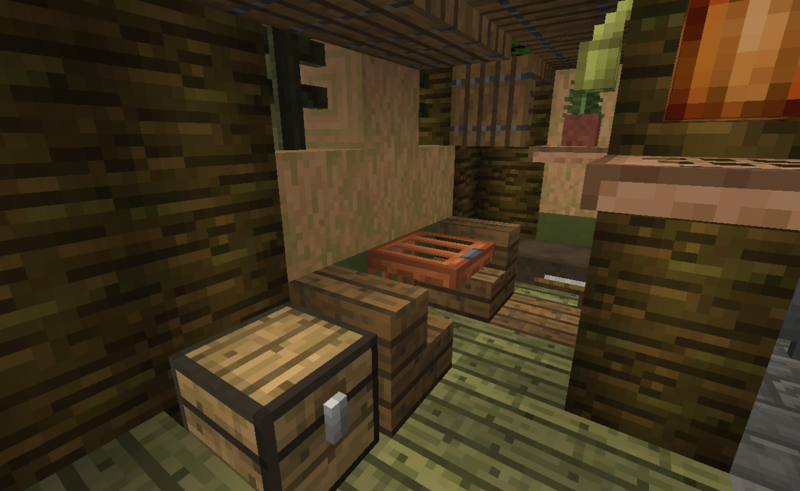 Just snooping the survival forums as you do haha. Glad to see you're still at it though! Hey Rakkinishu, good to see you again and thanks for livening up this thread with a comment! With Batman as your avatar instead of Confucius it seems you've taken a more direct approach to teaching philosophy! Reality check with a slap in the face is like being poked with a stick by a Zen master. I got that slap at the end of last summer... Still, today I was just thinking about how to be more of a mystic again, not just in Minecraft but for life in general, without losing grip on 'normal' things. I want the best of both worlds... How to make something positive out of everything one does, to really have an impact? 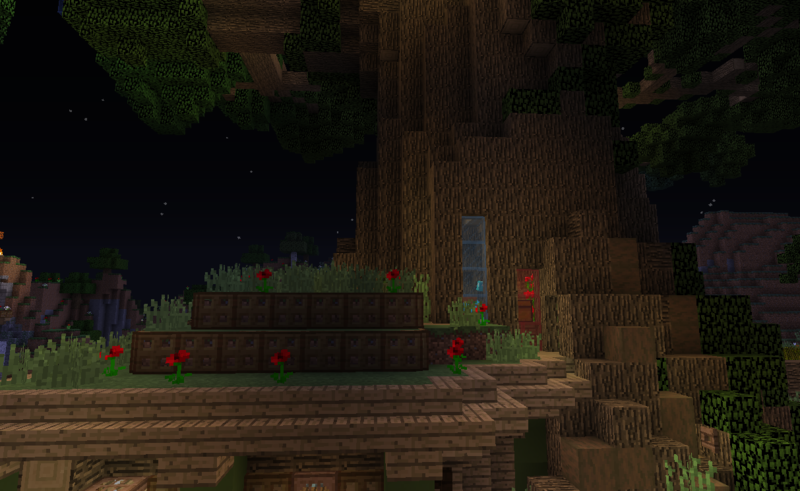 Replacing oak logs with oak wood have made the Life Tree look a bit too plain for my taste. 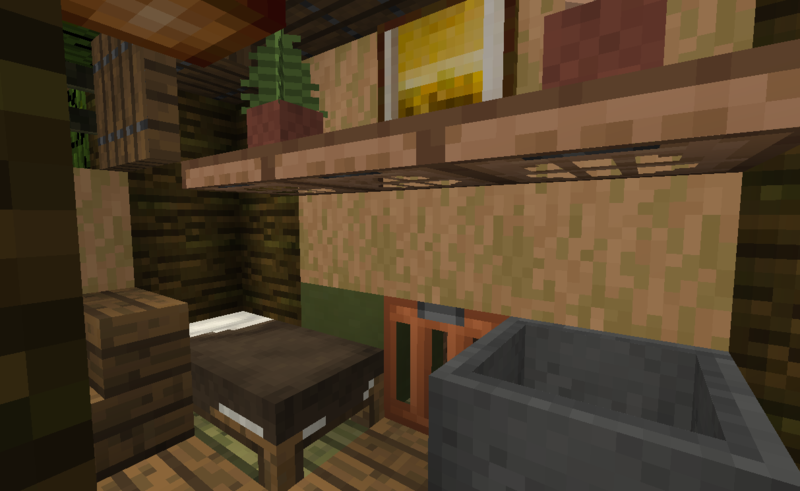 As an experiment, I introduced spruce wood, what do you think? Any other ideas for how to make the tree more realistic and life-like? I tried before with stripped oak and wasn't happy, but that was because they were too bright, so I listened to your advice! And I think you are right, it looks promising, thanks a lot for the tip! 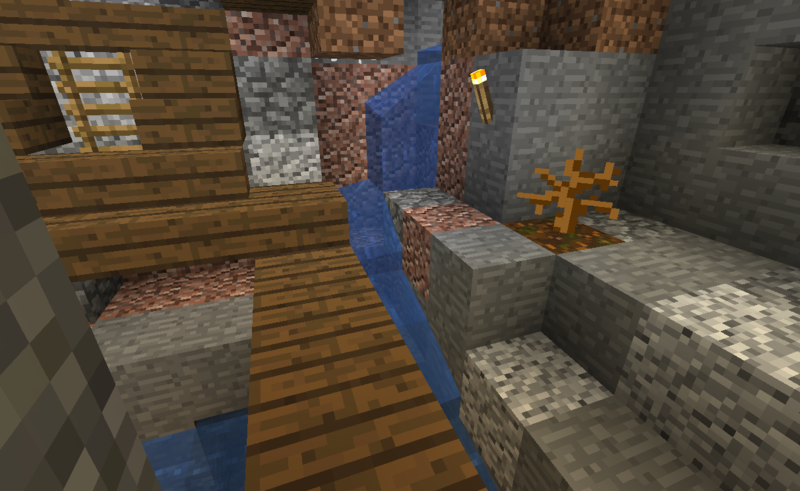 This reminds me, I should play around more in creative mode, just figuring out material palettes. It is a great time-saver. I tend to like stripped dark oak for this sort of thing. It has very slight green undertones that give it a mossy look. Since the tree is very old and probably has been struck by lightning, dark patches would make sense.